Jordan Brand had the misfortune of canceling a few releases this summer due to moldy shipping containers contaminating select models. 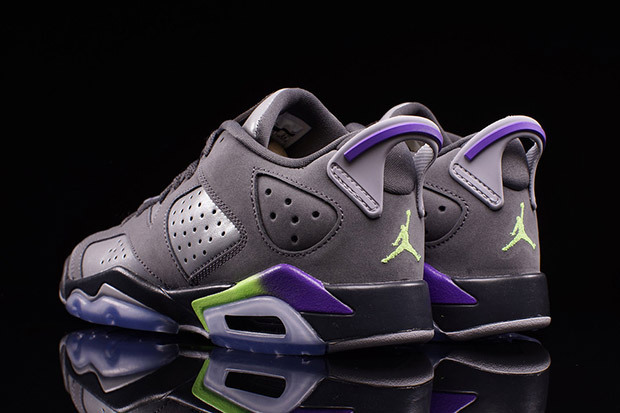 Releases like the Air Jordan 1 KO “Bred”, Air Jordan 6 Low “Fuchsia Flash” and this Air Jordan 6 Low “Ghost Green” all saw release dates pushed back until further notice, but now things look to be back on schedule. 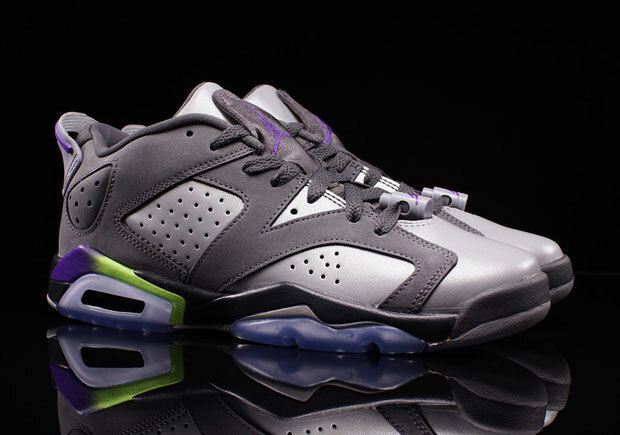 This pair aims to grab the grade schoolers’ collective attention with a new gradient midsole made of Ghost Green and Ultra Violet while a two-toned grey upper lets the vibrant accents truly stand out. 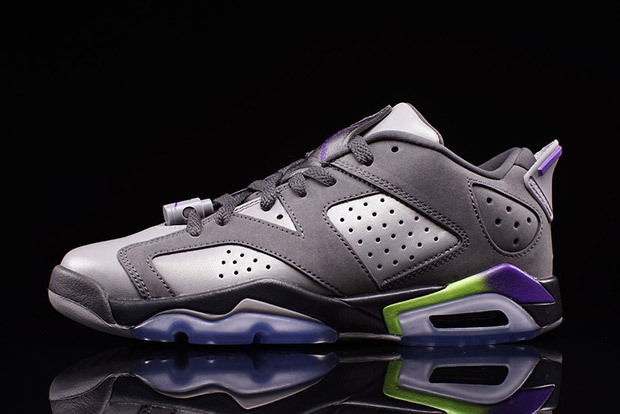 This AJ6 Low will be available this Saturday, September 5th for $120 but is limited to a strictly girls size run. Stick around for a better view of the latest kids-centric retro below and stay tuned for more release date updates right here on Sneaker News.